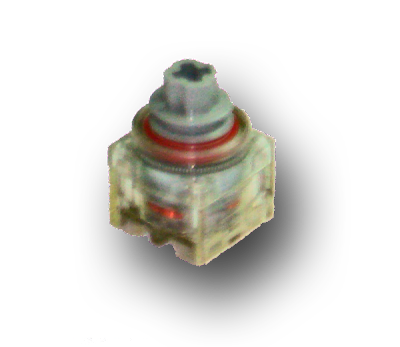 From time to time we see appearing in the market (BrickLink, eBay, etc...) some LEGO parts with special colors, never released into a set or sold by LEGO as single parts. Parts resulting from new developments and produced as prototypes. 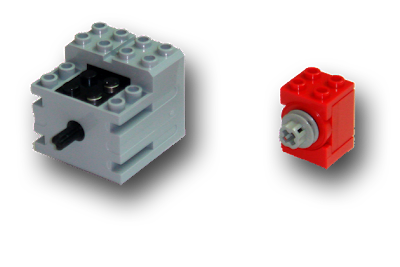 LEGO makes regular tests with parts production molds. These tests are made with ABS colors usually not used to produce the correspondent normal part. Red is a common color used for mold testing. Some parts are occasionally produced with special colors to be used by designers creating new models, or to be used in models at LEGOLAND Parks. I red somewhere, that special colored parts maybe occasionally produced for a specific propose on large LUG events!? These bricks in special colors are quite expensive to produce, and in none of the situations above (specially the first three), these parts are expected to leave the company and reach the market. However sometimes it happens... (as explained by Jan Beyer. Scroll down at linked page, for the English version). I managed to buy some of these rare and special parts, with origin from several of the situations above, I suppose. Despite some other regular versions existing in such color [(47154c01 Creator motor), (45721c01 Non-electric Windup motor)], it is always a good chance to see the internals of such parts, either stopped or running. I guess these may be true prototypes or mold test strikes, later assembled with real motors inside. The 'standard 9V motor' (71427c01) on the left, 'minimotor' (2986) at middle and right. These I bought both from Hungary sellers, and seem to have been produced at an old LEGO factory in Budapest (Hungary) in the 90s. Actual LEGO factories (outsourced to Flextronics) in Hungary, are at Sárvár (Duplo) and Nyíregyháza (Creator) according to my source. The standard 9V motor is also reported to exist with two internal variations (silvered and golden colored internal parts), as shown below. Below I've just added a similar photo with the correspondent standard parts, for comparation. I don't really like transparent colours in those big parts. Pneumatic pumps, motor and such.. They remind me of Knex ! 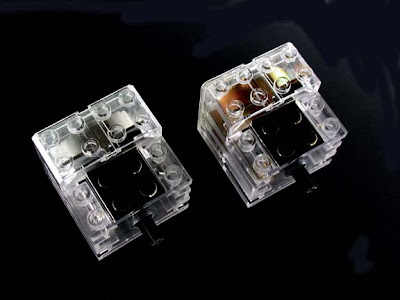 I agree the transparent motors, may not fit into sets or built models. But I like to have them as collection and rare items. It is also nice to be able to look inside to see internals working, despite there is not much to see in the case of some motors. Specially if they don't feature internal gears reduction. For the transparent pneumatics, I like to see them in some sets.